Me and Treasure Tress teamed up to host a brunch in New York!! On the same weekend as the amazing Curlfest event. Me and one of my favourite natural haircare brands, Boucleme teamed up to host a brunch based around the topic of natural ingredients! The second every 'Get My Curls Back!' brunch was held in Manchester! It was another great get together of curlies sharing their hair journeys and gaining valuable advice. My first ever 'Get My Curls Back!' brunch, a get together to discuss hair, transitioning tips, hair struggles and routines. All guests recieved a goodie bag & healthy hair journal. In August 2017 I held my very first curly girl picnic in London, Hyde Park! We had curl talk, a product hunt and enjoyed jam packed goodie bags! Back in May 2017, Shannon held her first ever event! It was an evening of cocktails, mingling and celebrating the 'Get My Curls Back!' launch. 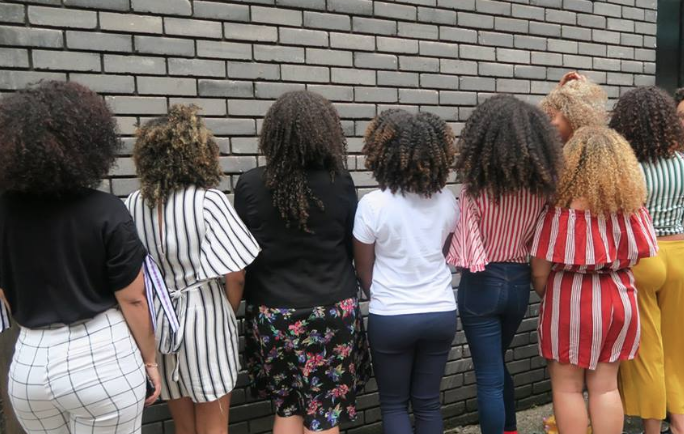 Curly girls arrived in style at the 3Thirty hair salon in Shoreditch, London. You can buy 'Get My Curls Back!' via Amazon.